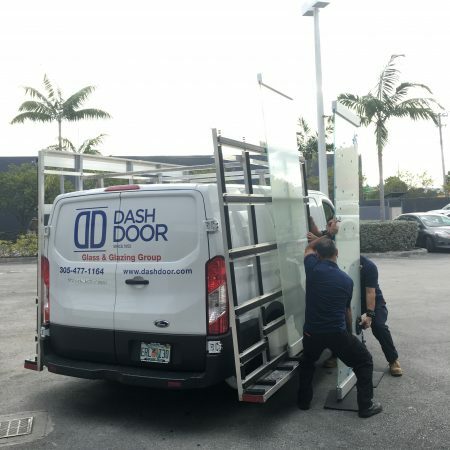 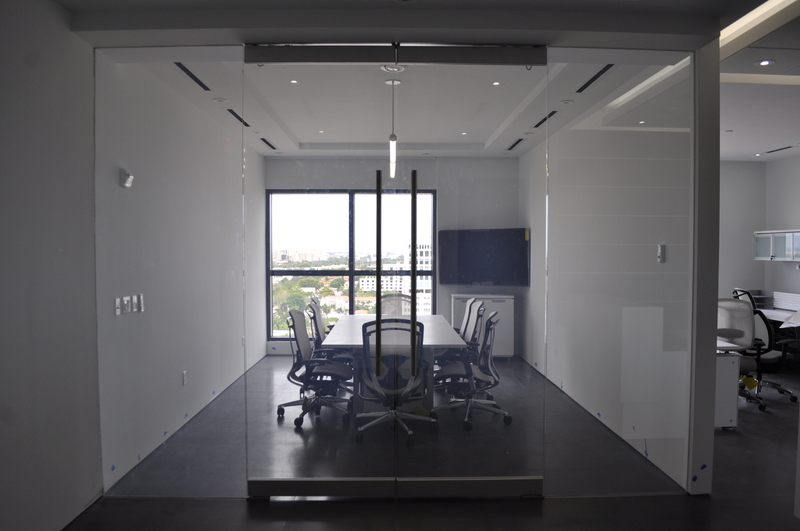 Inglotech’s Coral Gables, FL office location is a case study in use of “daylighting” of exterior positioned office spaces to allow natural light to pass to the interior. 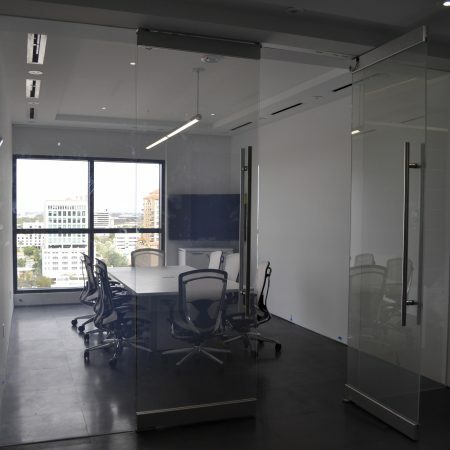 This particular PrivacyVue® installation has been regarded as a product category study on proper attenuation of daylighting in conjunction with thoughtful detailing, ISO 9000 manufacturing standards and high quality installation of customized hardware. 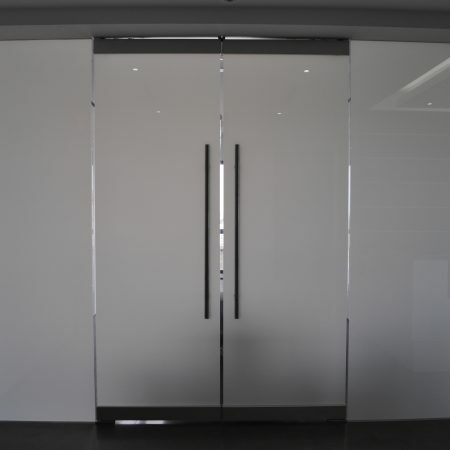 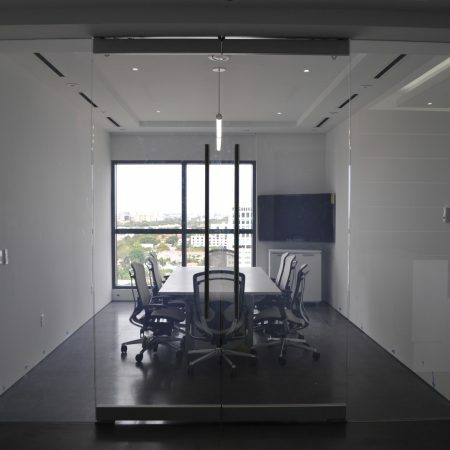 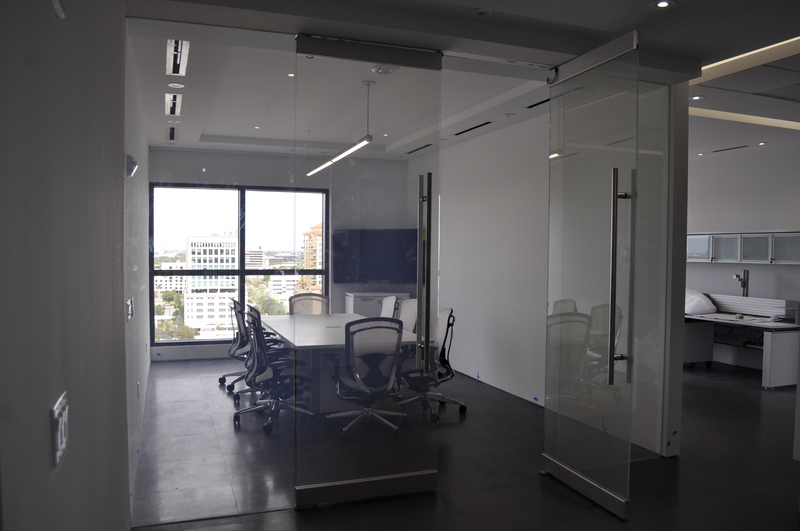 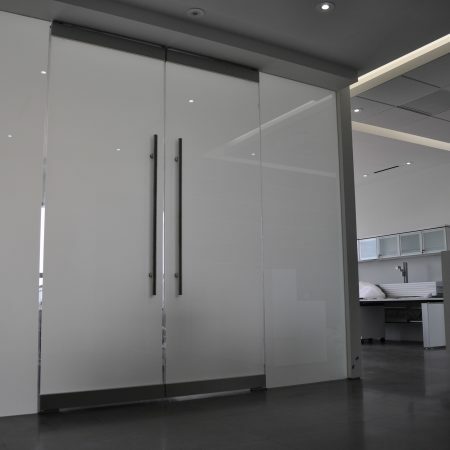 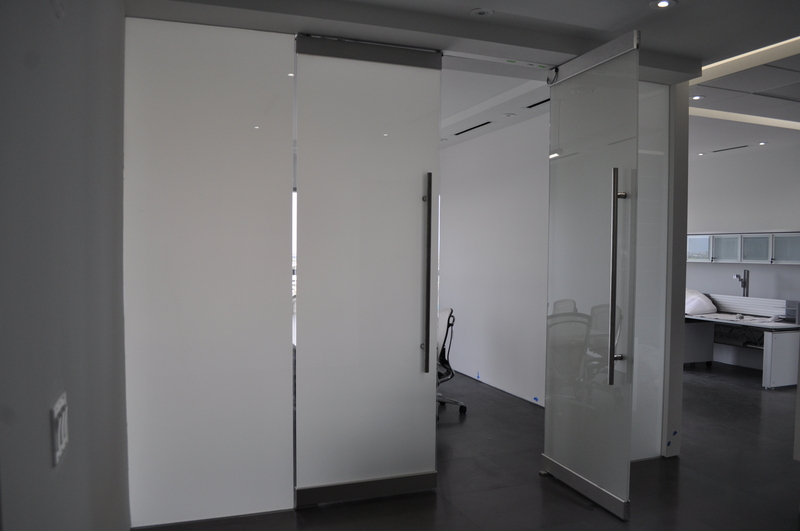 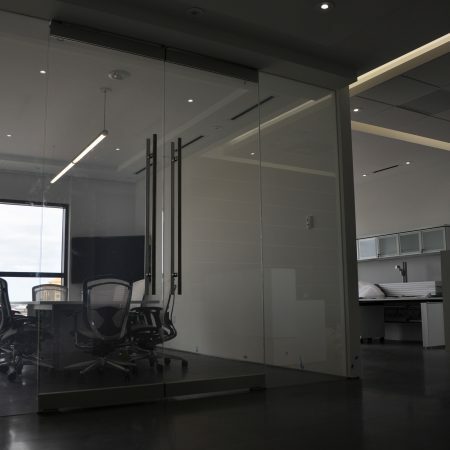 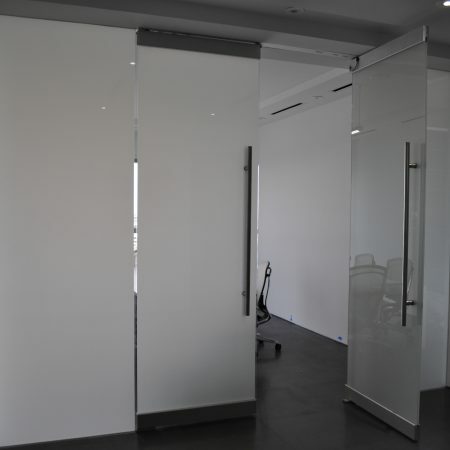 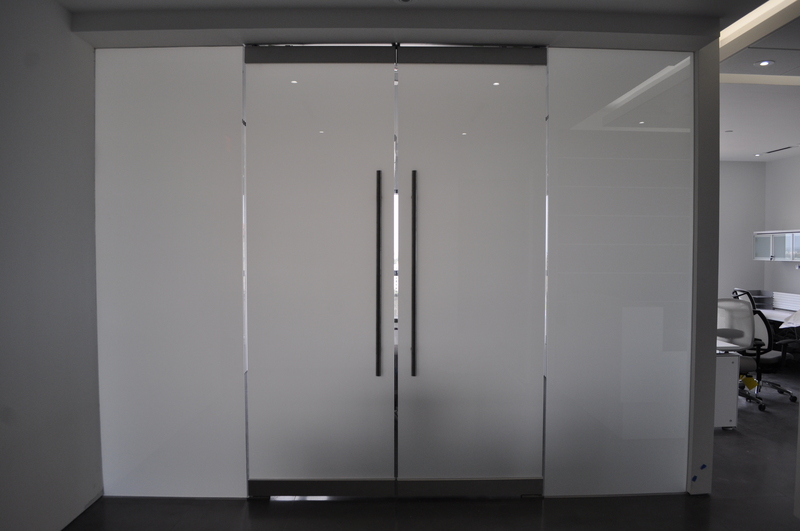 The first conference room in the space utilizes a PrivacyVue® switchable glass installation with recessed top and bottom channels and header. 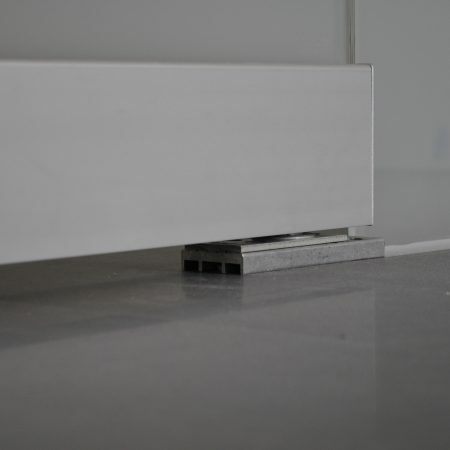 The PrivacyVue® PV-BP series pivot utilized is the only bottom pivot power transfer mechanism specifically designed for this type of application. 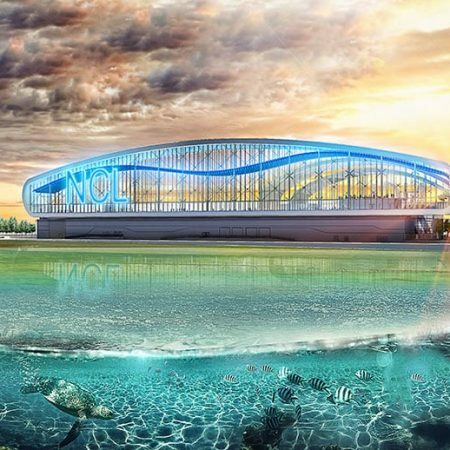 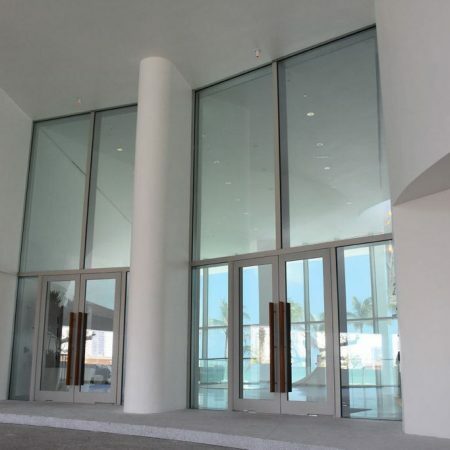 The project photos shown here clearly show the reflection of light which is permitted against the PrivacyVue® film when it is in the “OFF” / Opaque state. 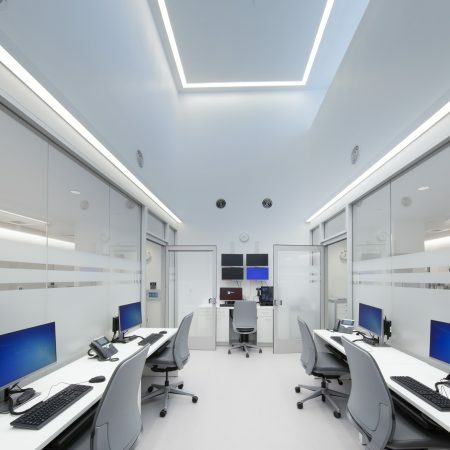 It can be seen here in this photo study that the interior light actually reflects against the film and permits more natural light in both states. 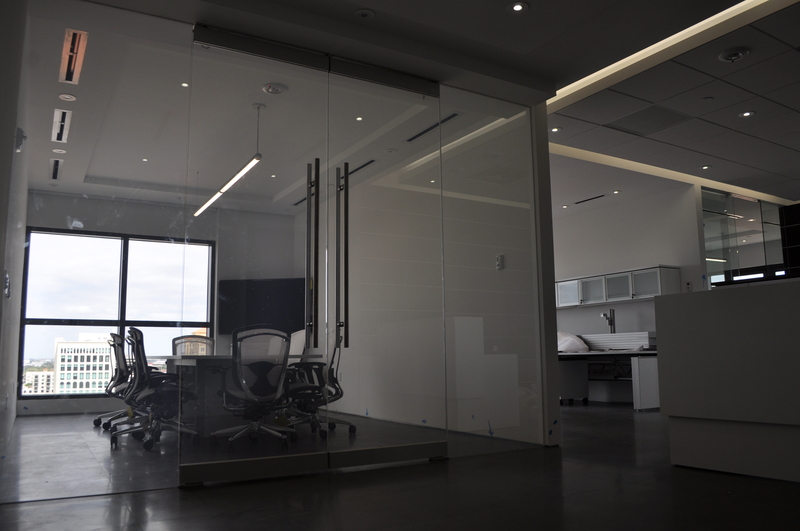 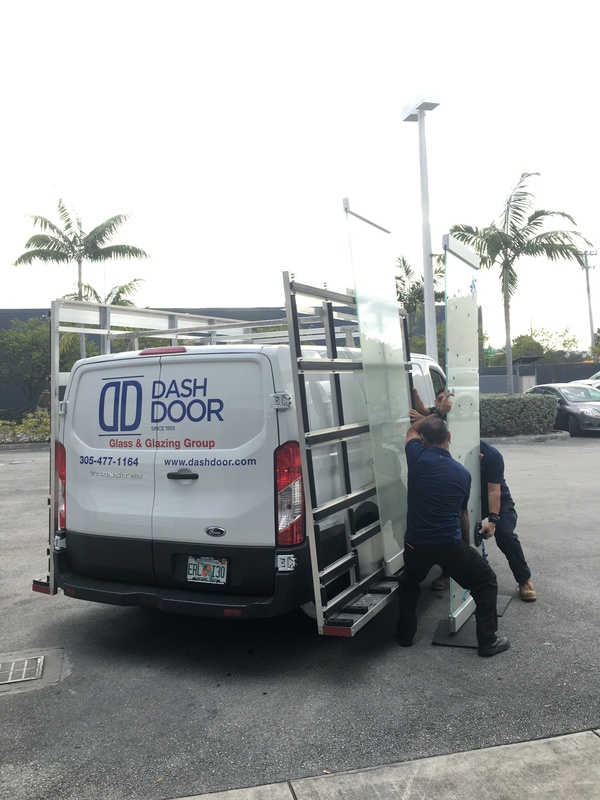 All parties in this design understood that with proper detailing and installation / integration, PrivacyVue® switchable glass permits both natural daylight and complete privacy on demand. 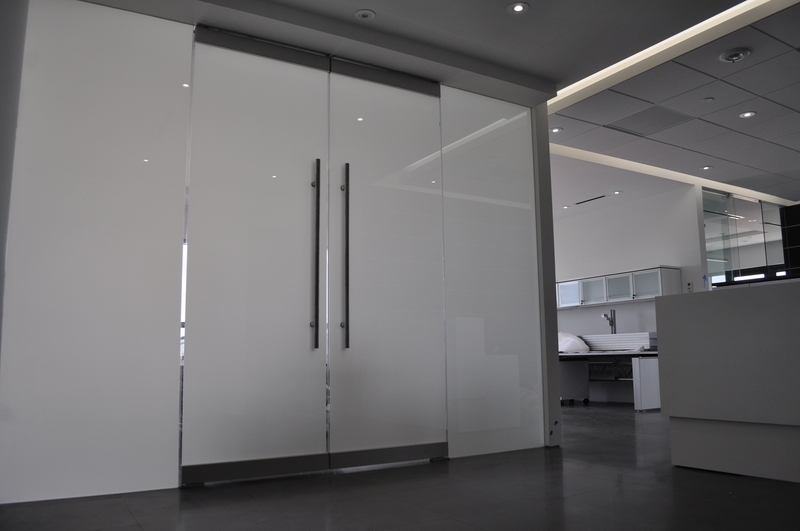 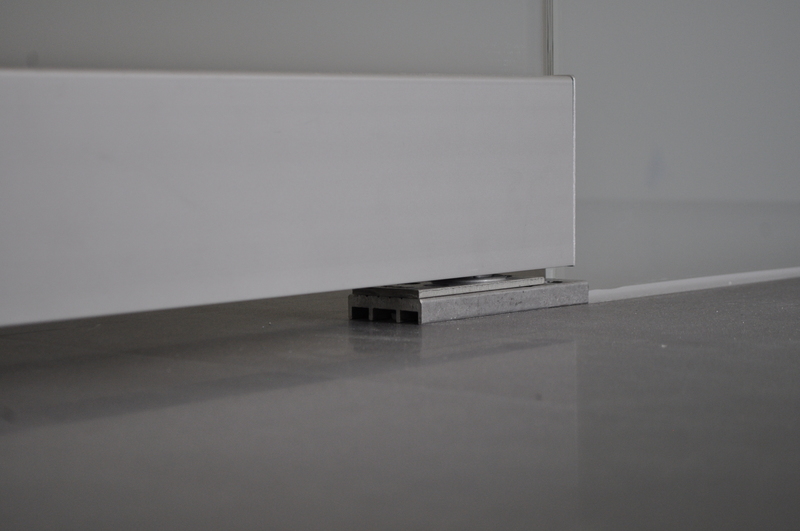 A sleek aesthetic that fits with the design of the space and is highly functional.